The Seriously Pro Racing F3 NEO board (SPRacingF3NEO) is a full-featured board designed specifically for quadcopters. The NEO FC/PDB features the latest gyro technology and stacks with an OSD/VTX board. The NEO stack makes for an extremely compact and easy to install solution with the minimal of solder connections and external cables required. It's perfect for beginners and experienced pilots. The acc/gyro is an ICM20602, which is newer than you'll find in all other F3 boards and most F4 boards as of December 2016. The NEO comprises of two boards - each available seperately. 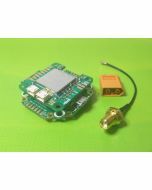 The NEO FC/PDB can be used without the NEO OSD/VTX add-on board. The height of the combined stack is just 15mm high! * Next-generation STM32 F3 processor with hardware floating point unit for efficient flight calculations and faster ARM-Cortex M4 core. 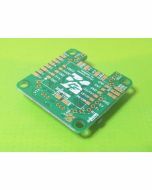 * Features the latest accelerometer and gyro technology (ICM20602) via SPI connection. * MicroSD-Card socket for black box flight log recorder - optimize your tuning and see the results of your setup without guesswork. * Built in amperage/current monitoring sensor, 110A. * Telemetry support (FrSky, SmartPort/S.PORT, IBus, etc). * 5 Serial ports. e.g Receiver + Telemetry + 3 Spare - None shared with the USB. * Built-in LC-Filter for clearer video. * Race transponder built in - just turn up at a race and have your lap times recorded. * Boot button for easy DFU/USB flashing. * Wire up using solder pads for ESC connections and cable or header pins for receiver. * 6 PWM output lines for ESCs and Servos. 4 are arranged for easy wiring on each corner of the board. (The 4 main outputs support DSHOT). 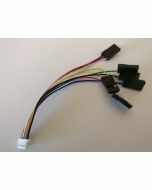 * Supports direct connection of SBus, SumH, SumD, Spektrum1024/2048, XBus/IBus receivers. No external inverters required (built-in). 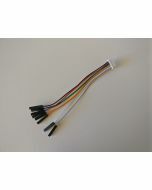 * Supports direct connection of 3.3v Spektrum Satellite receivers via 3 pin through-hole JST-ZH connector. * Dedicated output for programmable LEDs - great for orientation, racing and night flying. 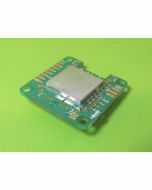 * Dedicated I2C/UART3/UART5 port for connection of OLED display, GPS receivers, external MAG/BARO without needing flight battery. * Voltage monitoring for battery, 12v and 5v supplies. * Buzzer port for audible warnings and notifications. * Developer friendly debugging port (SWD) unbrickable bootloader. * Symmetrical design for a super tidy wiring, just 4 wires per corner to each ESC and you're done! * JST-SH sockets only for I2C/UART3/UART4 and SWD. UART1 available on through-hole stacking pins and broken out on OSD/VTX board. 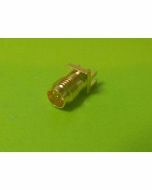 * Through-hole solder pads AND solder-less connections for receiver via PicoBlade connector. 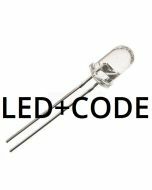 * Through-hole solder pads for Transponder IR LED. * Solder pads for RSSI. 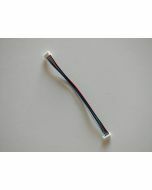 * Solder pads for LED Strip. * Solder pads for ESC signal and ground. (2 by each corner). * Solder pads for 2x additional PWM outputs (e.g. for pan / tilt servos). * Direct connection for XT60 socket. (Through hole). * Flashing via USB or serial port. 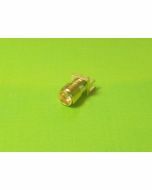 * Standard 30.5mm mounting holes, board fits in most 36x36x mounting spaces. * Board is 45x50mm with corner cutouts to allow frame clearance. * LEDs for 3v (Blue), 5v (Green) and 12v (Yellow) supplies. * Two status LEDs (Red, White) for easy diagnostics/flight mode indications. 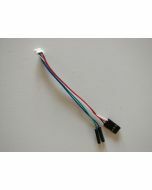 * Supplied with cable for no-solder connection to FrSky XSR receivers. 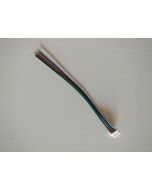 * Supplied with receiver cable for no-solder connection to most other receviers. 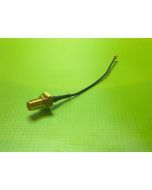 * Supplied with JST-ZH socket for connection to 3.3v spektrum satellite receivers. * 6 straight-though header pins. * 6 right-angle header pins. 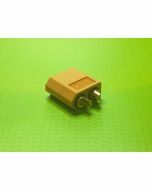 * JST-ZH socket for Spektrum Satellite receivers. NOTE: stacking VTX/OSD board available separately. NOTE: F3 NEOs are no-longer supplied with receiver cables, header pins are supplied and receiver cables available to purchase seperately, see related products below.